What an absolutely outstanding debut; I even had to double check that it was actually a debut novel as it is such an accomplished work of fiction. 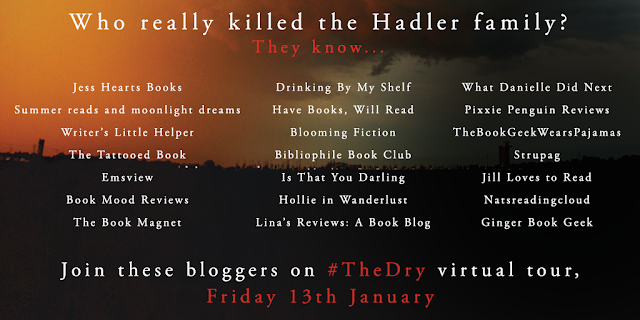 2017 has certainly got off to a fantastic start as The Dry raises the bar for all future debut novels. It is a stunning piece of literature and one that I know I will be recommending time and time again. 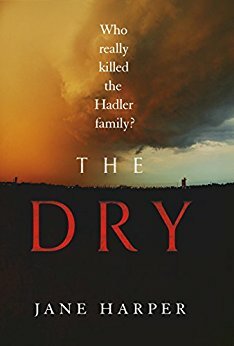 The story starts with the death of the Hadler family and what appears to be a seemingly loving husband and father, Luke Hadler, killing his wife and son before turning the gun on himself, leaving a massive question unanswered: if a man decided to kill his family and then himself, why would he leave his baby daughter unharmed in her cot? This is a question that Luke's childhood best friend, Aaron Falk, asks on his return to his hometown for the funeral. It is clear immediately that Falk isn't welcomed back with open arms and we learn that this isn't the first mysterious death to hit Kiewarra. Falk, as a teenager, was previously questioned over the mysterious death of his school friend, Ellie Deacon, when Ellie pointed a finger from beyond the grave. A piece of paper with Falk's name written on was found in Ellie's bedroom, leading her family to jump to conclusions and harass the Falk family into leaving town for good. 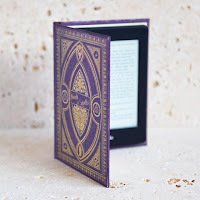 Startling similarities to Ellie's case appear when a piece of paper is found in the last reading book of Luke's murdered wife. Written on the paper is a name and phone number that raises more questions than answers for Falk. Obviously I wanted to know what had happened to the Hadler family, but equally intriguing was the death of Ellie Deacon from years earlier. A double mystery, both as captivating as each other as you naturally wonder if they are linked. Not only do we have the mysterious deaths, but the town is being affected by a terrible drought. The literary canvas is painted with exquisite narrative as we read of the children's paintings showing brown fields and Falk suddenly realising it's eerily quiet because the roar of the river has been silenced. The lack of water does indeed make everyone crazy and Falk's poor car seems to experience the worst of the town's craziness. With each captivating page making you thirsty for more, The Dry creates a reading thirst that is impossible to slake until you have turned the final page. A breathtaking, outstanding and mesmeric debut by Jane Harper that I wouldn't hesitate to recommend. 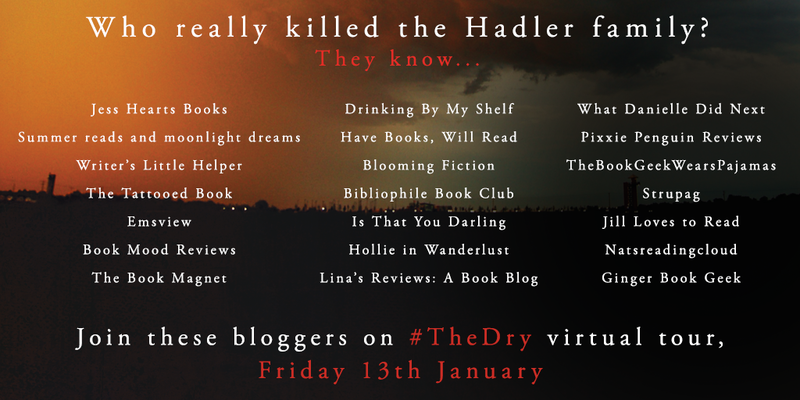 I have released my review as part of the blog tour and I know who really killed the Hadler family - make sure you find out too.